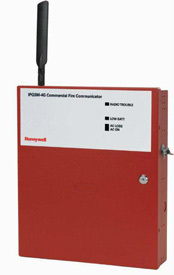 Countryside Alarms offers Honeywell’s top of the line commercial fire systems for any size commercial, residential or multi-use building. 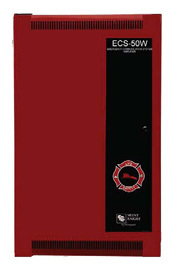 The IFP-2000 is an intelligent analog/addressable fire alarm control panel (FACP). The basic IFP-2000 panel contains one built in signaling line circuit (SLC), which can support 159 IDP sensors and 159 IDP modules or 127 SD devices per loop. Additional SLC loops can be added using the model 5815XL SLC expander to increase the overall point capacity to a maximum of 636 points per panel. IFP-2000 has the interconnection capability for up to 16 panels. The system has two modes of operation, Multiple panels covering one larger building, or multiple independent buildings. RPS-2000 is used in a networked system where at least one IFP-2000 is in the system. It is the same as an IFP-2000 without the display. IFP-2000 has eight on-board Flexput™ circuits that can be configured for auxiliary power, notification outputs, or for conventional smoke detector inputs (Class A or Class B). 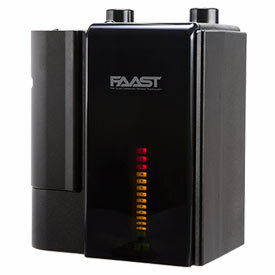 The FACP also has a built-in, dual-line digital fire communicator, Form C trouble relay, and two programmable Form C relays. IFP-2000 has powerful features such as detector sensitivity, day/night thresholds, drift compensation, pre-trouble maintenance alert, and calibration trouble alert. IFP-2000 supports a variety of devices, including RA-2000 remote annunciator, 5824 serial/parallel printer interface module (for event logging system reports), RPS-1000 intelligent power module, and IDP or SD protocol SLC devices. View or download the IFP2000 spec sheet. View or download the IFP2000 Basic Operating Instructions. 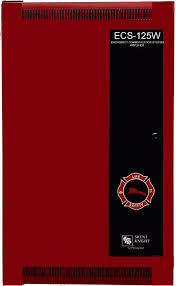 The IFP-1000 and IFP-1000HV are intelligent analog/addressable fire alarm control panels (FACPs). The basic IFP-1000 system has one signal line circuit (SLC) loop that supports up to seven 5815XL signal line circuit expanders.The IFP-1000HV offers the same functionality and features as the IFP-1000 but is configured for 240 VAC operation. IFP-1000/HV has six on-board Flexput™ circuits that can be configured for auxiliary power, notification outputs, or for conventional smoke detector inputs (Class A or Class B). 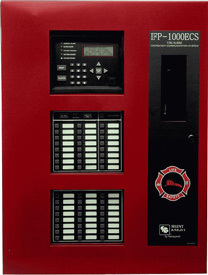 The FACP also has a built-in, dual-line digital fire communicator, Form C trouble relay, and two programmable Form C relays. The firmware has powerful features such as detector sensitivity, day/night thresholds, drift compensation, pre-trouble maintenance alert, and calibration trouble alert. Communication System (ECS). When the ECS features are enabled, they are integrated with the fire alarm and voice evacuation functions of the control panel. The IFP-2000ECS panel and accessories provide features to meet the requirements for Mass Notification Systems as described in UL 2572. The basic IFP-2000 panel contains one built in signaling line circuit (SLC), which can support 159 IDP sensors and 159 IDP modules or 127 SD devices per loop. Additional SLC loops can be added using the model 5815XL SLC expander to increase the overall point capacity to a maximum of 636 points per panel. IFP-2000 has the interconnection capability for up to 16 panels. The system has two modes of operation, Multiple panels covering one larger building, or multiple independent buildings. The IFP-2000ECS supports a variety of devices, including RA-2000 remote annunciator, 5824 serial/parallel printer interface module (for printing system reports), RPS-1000 intelligent power module, and IDP or SD devices. View or download the IFP-2000ECS spec sheet. View or download the IFP2000ECS Basic Operating Instructions. 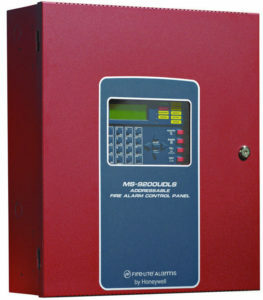 The IFP-1000ECS is an intelligent analog/addressable fire alarm control panel combined with an Emergency Communication System (ECS). When the ECS features are enabled, they are integrated with the fire alarm and voice evacuation functions of the control panel. The IFP-1000ECS panel and accessories provide features to meet the requirements for Mass Notification Systems as described in UL 2572. The IFP-1000ECS has six on-board Flexput™ circuits that can be configured for auxiliary power, notification outputs, or conventional input devices / smoke detectors. (Class A or Class B). 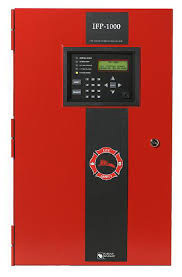 The FACP also has a built-in, dual-line digital fire communicator, Form C trouble relay, and two programmable Form C relays. The firmware has powerful features such as detector sensitivity, day/night thresholds, drift compensation, pre-trouble maintenance alert, and calibration trouble alert. The IFP-1000ECS supports a variety of devices, including RA-1000 or RA-100 remote annunciator, 5824 serial/parallel printer interface module (for printing system reports), RPS-1000 intelligent power module, and IDP or SD devices. The IFP-1000ECS system is scalable from 50 to 1000 watts using a distributed amplification scheme to provide the power to the appropriate areas for evacuation coverage. View or download the IFP-1000ECS spec sheet. The ECS-50W is an intelligent 50 watt amplifier for use with the IFP-100ECS, IFP-1000ECS and IFP-2000ECS. The ECS-50W is used to amplify the audio message for distribution throughout the facility. Since it is designed as a self-contained distributed amplifier it can be conveniently located near the area of protection to reduce wiring demands. Each ECS-50W is capable of producing 50-watts of audio power. Up to eight ECS-50W’s can be used on the voice evacuation system. The ECS-50W has its own power supply with battery backup and four speaker circuits which can be expanded to eight speaker circuits with the optional ECS-CE4. The ECS-50W is fully supervised by the main panel for trouble conditions. View or download the ECS-50W spec sheet. The ECS-125W is an intelligent 125 watt amplifier for use with the IFP-100ECS, IFP-1000ECS and IFP-2000ECS. The ECS-125W is used to amplify the audio message for distribution throughout the facility. Since it is designed as a self-contained distributed amplifier it can be conveniently located near the area of protection to reduce wiring demands. Each ECS-125W is capable of producing 125-watts of audio power. Up to eight ECS-125Ws can be used on the voice evacuation system. The ECS-125W has its own power supply with battery backup and four speaker circuits which can be expanded to eight spe aker circuits with the optional ECS-CE4. The ECS-125W is fully supervised by the main panel for trouble conditions. View or download the ECS-125W spec sheet. 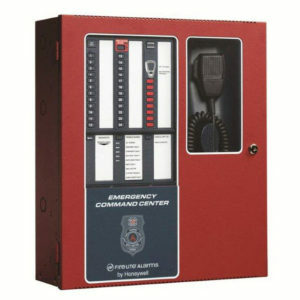 The RA-2000 red remote annunciator can be used to operate and program the IFP-2000 or RPS-2000 FACP. 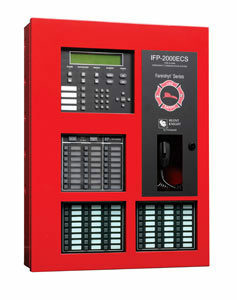 The RA-2000’s keypad and display match the built-in annunciator of the IFP-2000 control panel. The remote annunciator connects to the control panel via the RS-485 SBUS. When the system is in normal operation and has AC power, the Power LED is lit and all other LEDs are off. The other LEDs turn on as alarms, supervisories, troubles, and system silenced occur. The RA-2000 can be surface or flush mounted and is also available in gray color as RA-2000GRAY. View or download the RA-2000 spec sheet. 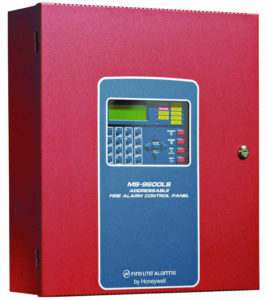 The RA-100 Remote Annunciator can be used to operate and program the Farenhyt Fire Control Panels. 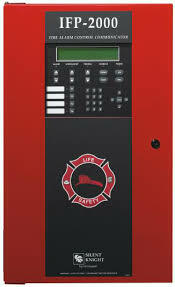 The RA-100’s keypad and display match the built-in annunciator of the IFP-100 control panel. The remote annunciator connects to the control panel via the RS-485 system bus. When the system is in normal operation and has AC power, the Power LED is lit and all other LEDs are off. The other LEDs turn on as alarms, supervisories, troubles, system silenced and AC power losses occur. View or download the RA-100 spec sheet. 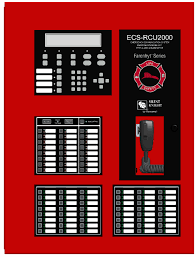 The ECS-RCU2000 is a combination supervised remote microphone and annunciator which is compatible with the ECS-Series Emergency Communication System. The ECSRCU2000 meets UL requirements for a LOC. (Local Operator’s Console). The ECS-RCU2000 includes a ECS-RVM Remote Voice Module provides an interface to the Emergency Communication System and a supervised microphone for live communications. 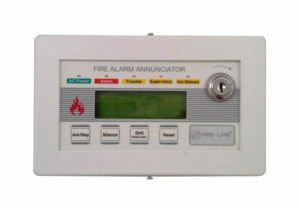 RA-2000 annunciator that is capable of performing complete operation of the fire alarm system, including silencing and resetting. The IFP-2000ECS can support a maximum of 15 ECS-RPUs or ECS-RCU2000s in any combination. View or download the RCU-2000 spec sheet. 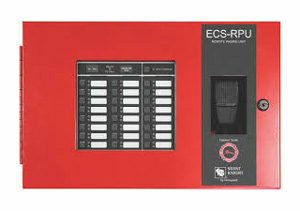 The ECS-RPU is a remote paging unit that provides a supervised microphone, 8 emergency message buttons, and 16 mappable audio switches. With dimensions of 17 ¾” x 11 7/16” x 3 ½”, this lower profile remote paging unit is ideal for locations where the standard LOC won’t fit. The RA-2000 and RA-100 have the same height and flush mount depth as the ECS-RPU so if your installation requires a fully functioning LOC with annunciation the RA-2000 or RA-100 can be installed right next to the ECS-RPU for a sleek installation. View or download the ECS-RPU spec sheet. E3Point is capable of detecting the widest range of toxic and combustible gases found in commercial building spaces and outbuildings, including CO, NO2, O2, H2, H2S, CH4 and C3H8. It can be used as a standalone unit with single or dual-gas detection (i.e. 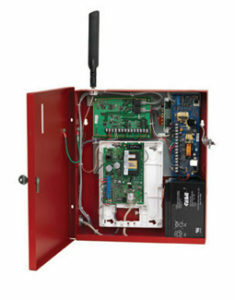 using a remote sensor) or deployed as a networkable device (interoperable with BACnet, Modbus or other Building Automation System); E3Point also functions with existing controller-based gas monitoring systems and wired-wireless gas monitoring system components. View or download the E3Point spec sheet. The IDP-Beam and IDP-Beam-T are addressable beam smoke detectors for use with Silent Knight IFP-series fire alarm control panels (FACPs). 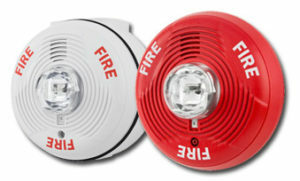 They are uniquely suited for protecting open areas with high ceilings where other methods of smoke detection are difficult to install and maintain. The IDP-Beam-T also includes an integrated sensitivity test feature. Installation of the single-ended reflective design is much easier than dual ended projected beam detectors. Alignment is quickly accomplished using an optical sight and a two-digit signal strength meter incorporated into the IDP-Beam and IDP-Beam-T. View or download the IDP-Beam spec sheet. 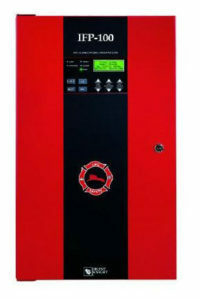 The IDP-FIRE-CO is a plug-in, addressable device that provides both fire and carbon monoxide (CO) detection. 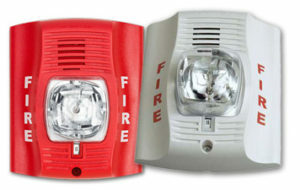 For fire, the detector combines four separate sensing elements in one unit (smoke, CO, light/flame, and heat) to sense multiple components of a fire. This approach enables enhanced sensitivity to real fire with heightened immunity to nuisance particulate. 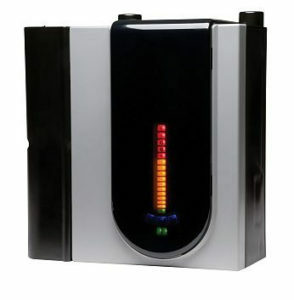 For CO, the detector’s electrochemical sensing cell creates a separate signal for life safety CO detection. View or download the 351180-A spec sheet. The IDP-Heat, IDP-Heat-HT, and IDP-Heat-ROR are plug in thermal detectors, with integral communication, that provide features that surpass conventional detectors. These thermal detectors are for use with Silent Knight IFP-series fire alarm control panels (FACPs). Detector sensitivity can be programmed from the FACP software. Sensitivity is continuously monitored and reported to the FACP. View or download the IDP-Heat-HT spec sheet. 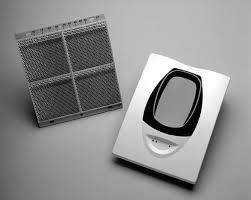 The IDP-Photo is a photoelectric smoke detector and the IDP-Photo-T is a photoelectric smoke detector with thermal. 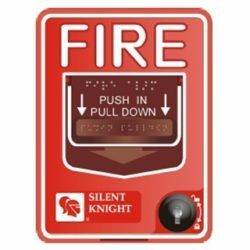 These plug in smoke detectors, with integral communication, provide features that surpass conventional detectors and are for use with Silent Knight IFP-series fire alarm control panels (FACPs). Detector sensitivity can be programmed from the FACP software. Sensitivity is continuously monitored and reported to the FACP. Point ID capability allows each detector’s address to be set with rotary address switches, providing exact detector locations for selective maintenance when chamber contamination reaches unacceptable levels. IDP-Photo and IDP-Photo-T have a unique optical sensing chamber that is engineered to sense smoke produced by a wide range of combustion sources. In the IDP-Photo-T, dual electronic thermistors add 135ºF (57ºC) thermal technology to maximize detection. View or download the IDP-Photo spec sheet. The IDP-Pull-DA is a dual action pull station requiring two motions to active the station. 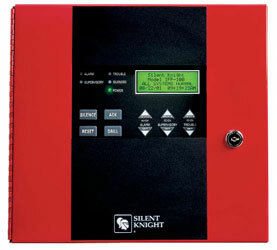 The pull station is designed to work with Silent Knight IFP-series fire alarm control panels (FACPs). View or download the IDP-Pull-DA spec sheet. IDP-Monitor acts as an interface to contact devices, such as waterflow switches and pull stations. 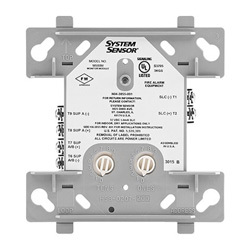 The IDP-Monitor supports Class A supervised or Class B supervised wiring to the load device. 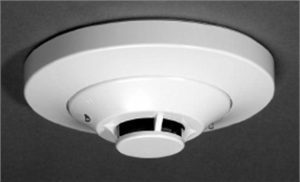 Conventional 4-wire smoke detectors can be monitored for alarm and trouble conditions. View or download the IDP-Monitor spec sheet. The IDP-Zone is an addressable two-wire interface module for use with Silent Knight IFP-series fire alarm control panels (FACPs). 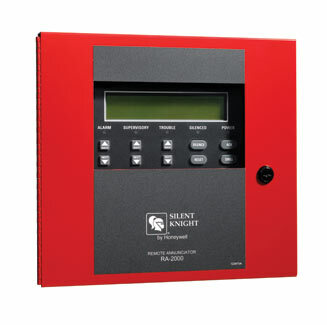 The IDP-Zone allows a Silent Knight FACP to interface and monitor two-wire conventional smoke detectors. This means you can retrofit an existing building and use existing conventional devices. The IDP-Zone is addressed through the signaling line circuit loop of the FACP. It transmits the status of one full zone of two-wire detectors to the FACP. Status conditions are reported as normal, open, or alarm. The IDP-Zone supervises the zone of detectors and the connection of the external power supply. All two-wire detectors being monitored must be UL compatible. View or download the IDP-Zone spec sheet. The IDP-Monitor-2 is an addressable monitor module with two initiating circuits for use with Silent Knight IFP-series fire alarm control panels (FACPs). The IDP-Monitor-2 acts as an interface to contact devices, such as waterflow switches and pull stations. The IDP-Monitor-2 supports Class B supervised wiring to the load device. 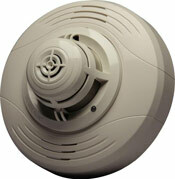 Conventional 4-wire smoke detectors can be monitored for alarm and trouble conditions. Because the IDP-Monitor-2 is capable of monitoring two separate Class B circuits, it is ideal for waterflow tamper switch and flow switch monitoring. View or download the IDP-Monitor 2 spec sheet. 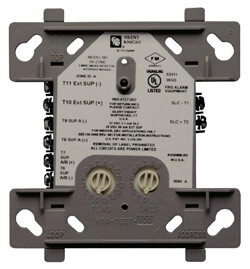 The IDP-Relay is an addressable relay module for use with Silent Knight IFP-series fire alarm control panels (FACPs). 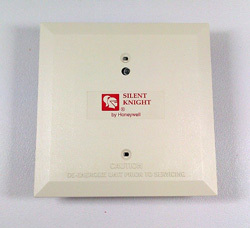 The IDP-Relay allows a Silent Knight FACP to switch discrete contacts by code command. 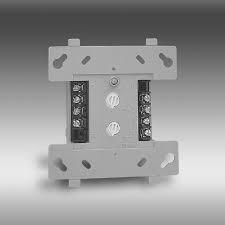 The relay contains two isolated sets of Form C contacts, which operate as a DPDT switch. No supervision is provided for the notification appliance circuit. The IDP-Relay contacts can be used for virtually any normally open or normally closed application. Each IDP-Relay is programmed with a unique signaling line circuit (SLC) loop address. When an event occurs that controls the IDP-Relay, the relay is triggered by the FACP. View or download the IDP-Relay spec sheet. The iGSMCFP4G is a UL approved dual technology fire alarm communicator that offers contact ID reporting with select VISTA® control panels. It offers three selectable reporting paths which include: cellular only, IP only, or IP primary/cellular backup. The iGSMCFP4G transmits all VISTA control panel events via Contact ID to the AlarmNet® Network Operating Center for routing to the assigned central station receiver. The state of the art AlarmNet Network Operating Center is fully redundant and monitored 24/7. AlarmNet has the ability to route messages using AlarmNet-i and 800 PLUS services, providing true redundancy and multi-path message delivery. The iGSMCFP4G meets UL 864 requirements and provides programmable supervision options to meet NFPA72 2010 and 2013 standards using single or dual technologies. View or download the iGSMCFP4G spec sheet. via customer-provided Internet/Intranet connection or the GSM network. View or download the IPGSM-4G spec sheet.